Written by Will on January 29, 2013 and posted in News & Updates. The Pokemon X and Y starters follow the same – fire, grass, water – format as the other 5 generations of games. The only exception being Pokemon yellow where the only choice was the electric type Pikachu. We also know some info about the Legendary Pokemon in X and Y – Yveltal and Xerneas. 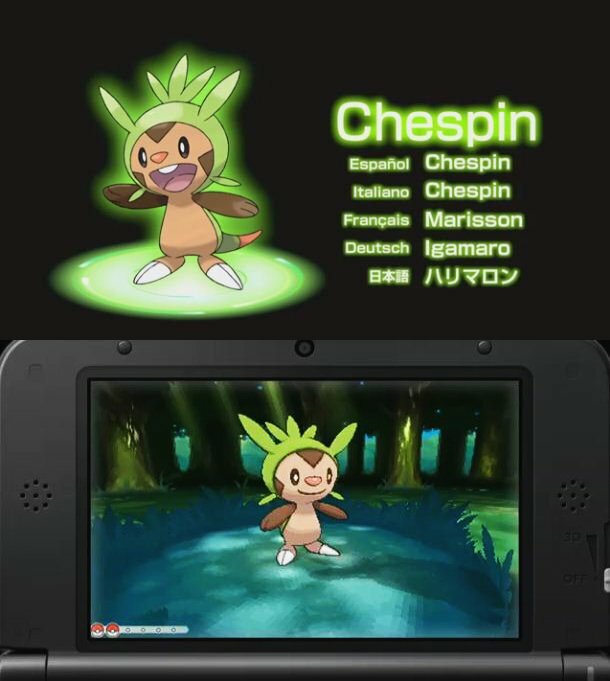 Chespin is the grass starter in Pokemon X and Y. Chespin looks like a chipmunk who, for some reason, has a green hat. 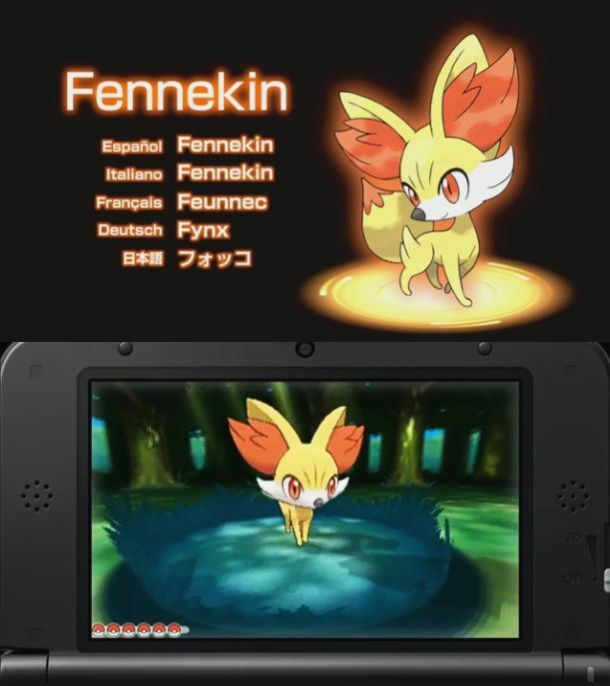 Fennekin is the fire type of the Pokemon X and Y starters. It looks like a majestic fire feline. 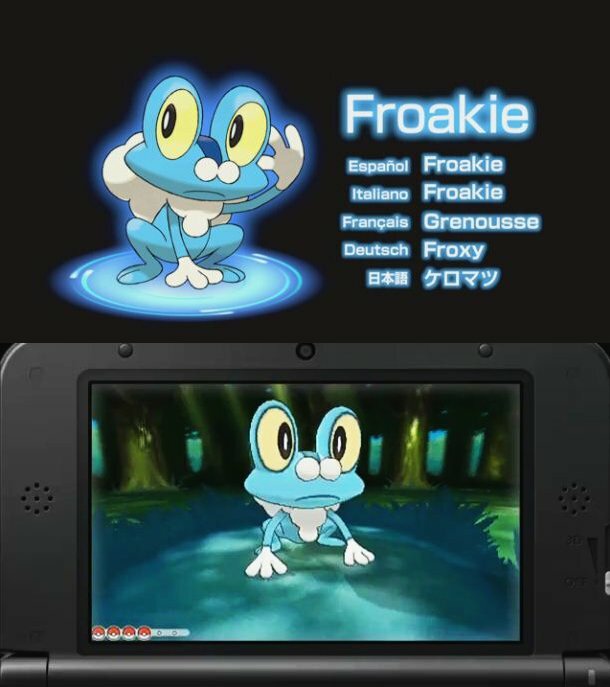 The Pokemon X and Y starter Froakie is a water type. Obviously with a name like Froakie the water starter had to look like a frog – and it does, only blue. Forakie is the water type starter for X and Y. It looks like a blue frog. Interesting thing to note: Yveltal is a flying pokemon as Y is the up and down axis in a grid. Xerneas is a ground Pokemon as X is the flat axis of a grid. Pokemon X and Y is out October 2013 on Nintendo 3DS. It will be the first Pokemon 3DS game the company have released (Black and White 2 is for NDS) and one of this years highest anticipated titles already. X and Y has a brand new 3D battle camera. You’ll not simply be staring at the back of your Pokemon during fights anymore. The camera moves around the field of battle. There are multiple angles. It switches dramatically. And the attack animations are much more intricate than they were in any other previous Pokemon game. Released in October 2013 you’ll be picking the starter you want to play the game soon (find emulator for better gaming at 3DSemulators.com). Let me know in the comments which of the Pokemon X and Y starters you’ll be picking. Some of the images used are from IGN’s Everything We Know About Pokemon X and Y article.